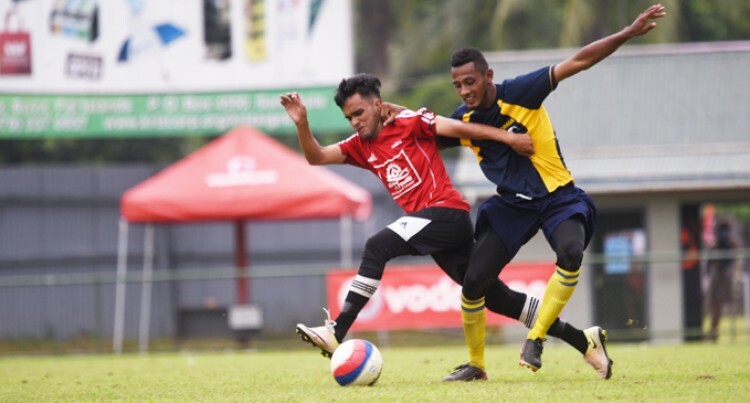 Nasinu coach Rizwan Wasim said yesterday that he is happy with the performance of Intiaz Khan and Moshim Khan who scored their goals against Drasa. “Since most of our players have left to join other clubs, I’m happy with the young boys for showing their worth,” Wasim said. “Despite not having the experienced players in the team, the current players did a marvellous job and they really proved themselves. Watching their games I am very confident that they will do fine in the knockout rounds because they have stuck to the game plan and never gave up on the field. Wasim said the players are excited and looking forward to the quarterfinals. Nasinu last won the Muslim IDC in 2014 and since then we have not made it to the finals. Wasim said going up against Maigania would not be easy. “Maigania has a very experienced side made up of district reps and that is going to be a big challenge for us. “We know how hard the competition will be but I’m confident that the boys will do their best and progress to the semi-finals. “I am urging the fans to show up in numbers and support the team,” he added.